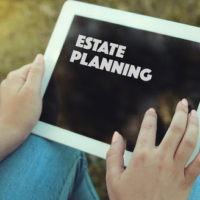 Many people see estate planning as a tax-saving strategy and a way to avoid probate—especially since the recent federal estate tax laws doubled estate, federal, gift, and GST tax exemptions to $10,000 per person. However, there are a number of other benefits and details to keep in mind when it comes to approaching your estate planning process, as we discuss below. Remember that, if you die without a valid will at the time of your death, in essence, you do have an estate plan of some sort—i.e. whatever state law dictates—but it isn’t the plan that you chose. Planning ahead of time—before you lose a loved one—can help prevent a significant amount of stress following the loss of that loved one. Estate planning also allows you to choose who will serve as your fiduciaries to manage your assets after your death. This includes appointing an executor to facilitate the administration of your estate, and perhaps even a guardian if you have minor children. Without these documents (and wishes) in place, the probate court will get involved, and this could result in the appointment of individuals that you would rather not have serving as your fiduciaries (as well as significant expenses). In addition to having a solid plan in place that includes a will and revocable trust, you might also want to assemble a list of assets and advisors, debts, passwords to digital assets, and instructions concerning last wishes. Special needs planning: if you have a loved one with special needs, it is wise to place their inheritance in what is known as a “specialized,” “supplemental.” or “special needs” trust. Estate planning prior to death can also help prevent any unwanted disclosure of personal details such as detailed lists of assets owned at death. Since we were established here in Orlando, Florida years ago, we have provided the very best legal representation to our clients seeking estate planning services. We understand that estate planning is more than just naming beneficiaries in documents. Contact our attorneys at Gierach and Gierach, P.A. today to find out what we can do for you and your family.